Taiwan has pioneered the innovation of Oolong Tea processing methods from the labor-intensive traditional way to a mechanized, high volume modern tea making procedure. 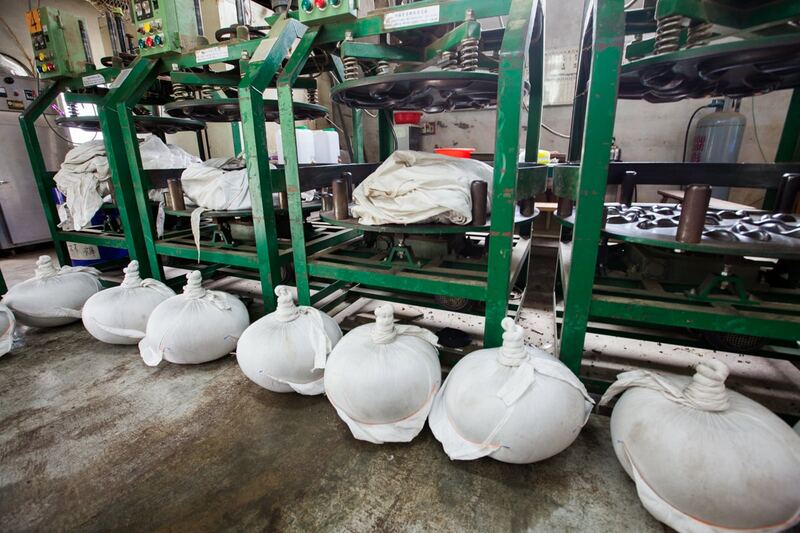 In this post, we’ll introduce the purpose of each step in the processing of Oolong Tea, and the machines that have been invented here in Taiwan over the last 35 years or so to do this work. Freshly harvested tea leaves are brought to a tea factory as quickly as possible and are spread out somewhat sparsely on tarps to undergo the first step in processing tea, which is called Solar Withering or Outdoor Withering. In this stage, the tea leaves are completely dried of any dew or surface moisture and begin to wilt and dehydrate. The leaves are intermittently gathered together and tossed across the surface of the tarps, spreading them out again to continue their wilting process. This agitation of the leaves as they dehydrate is essential to further stimulate circulation within the leaf. This prevents a type of vegetal rigor mortis and allows for a more even oxidation later in the process. 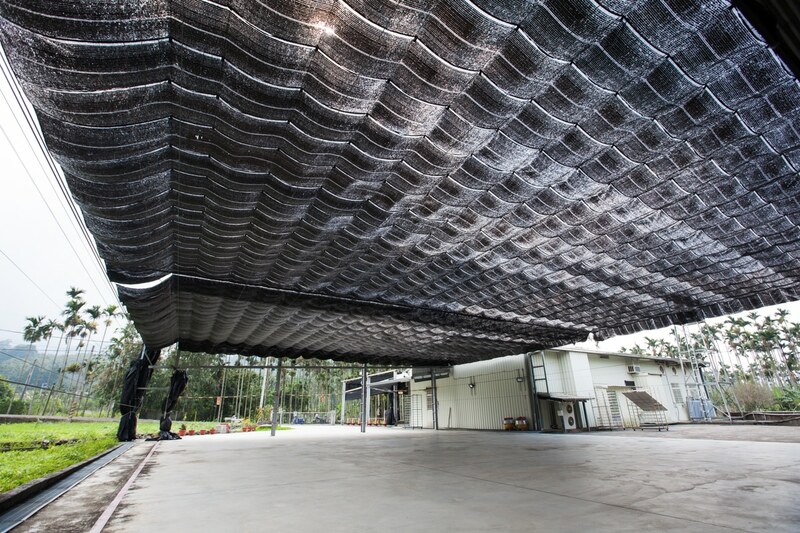 If the sun is intense at the time of Solar Withering, shade cloths are used to regulate the exposure of the leaves in order to achieve the desired effect. 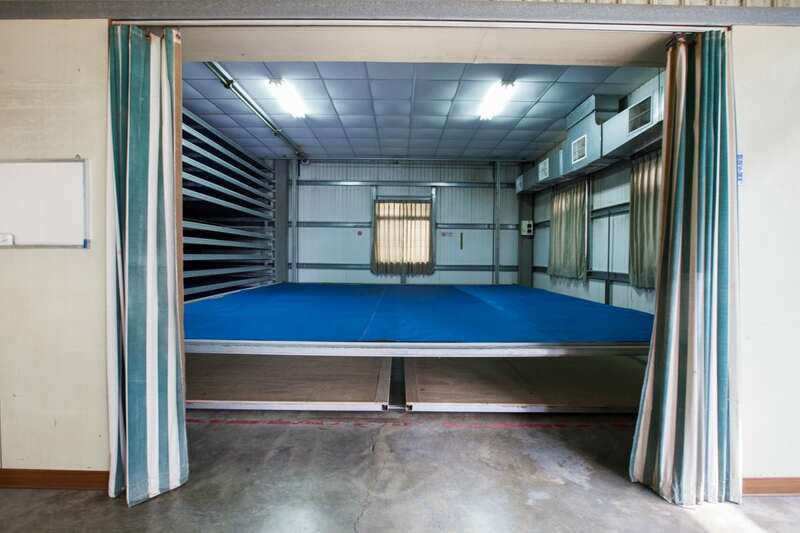 Notice that this factory is equipped with a double layer of overhead shade cloths to have more control over the exposure of the leaves. Solar Withering. Photo by Eric Mah. This factory is well designed in that there is sufficient space to allow for a large amount of leaves to undergo Solar Withering at one time. The harvested leaves arrive from the field fast, and this is a vital step in maximizing the quality of production. A common drawback in remote tea factories that are built on high elevation tea farms, which are typically on steep slopes, is that there is almost always limited square footage to accommodate this initial phase of making Oolong Tea. We purposely chose the factory shown in these photos to represent an optimal design in terms of its processing capacity that determines quality of production. It also represents a relatively minimal environmental impact in that it is located in a residential area in the foothills, and not in remote high elevation farming regions that are environmentally controversial. Indoor Withering. Photo by Eric Mah. The photo above shows the second stage of processing, known as Indoor Withering. In this phase, the leaves are again spread out on large screen rack shelving to continue their wilting and dehydration process. This results in a preliminary decomposition of both the physical structure and chemical compounds in the leaf that is commonly referred to as “fermentation”, but is more accurately termed “oxidation”. Naturally occurring live enzymes begin breaking down stable compounds in the leaf, transforming them into flavor enhancing and more ingestible compounds that in effect define the character of Oolong Tea. The whiteboard on the left of the entrance into the Indoor Withering room is used to set the schedule for taking the shelves down to floor level to gather together and redistribute the leaves. This step is called Shuffling, which stimulates the leaves for continued circulation that is essential to proper oxidation as they continue to wilt. We can see the air conditioning ducts along the ceiling on the right, regulating temperature and humidity and allowing for more consistent results in this vital phase of accurately achieving the desired oxidation and dehydration effect. Indoor Withering Corner Angle. Photo by Eric Mah. Above we can see the wooden floorboards that the metal screen shelves are lowered onto mechanically. Porous tarps that line these shelves, and on which the leaves are spread, are drawn to the center by hand from opposite sides, shuffling the leaves and gathering them into a center line for redistribution by tossing them about to evenly cover the tarp again. This is repeated several times over many hours, until the leaves are supple enough for the next stage. 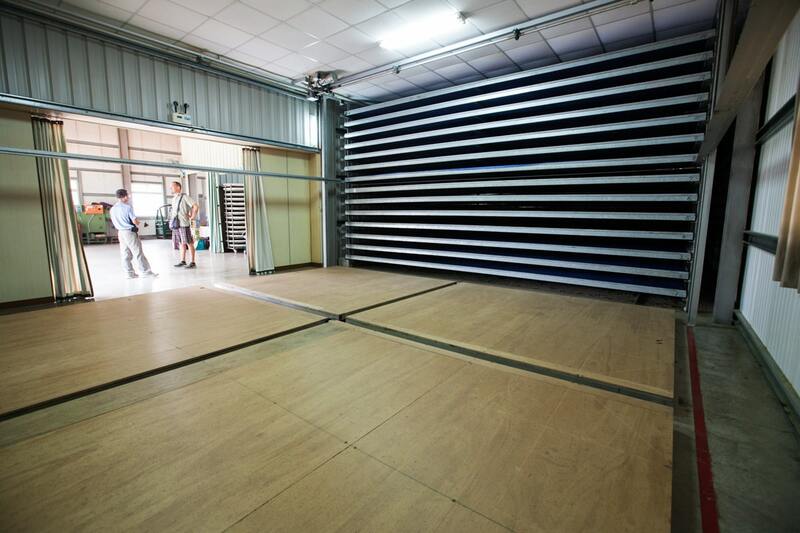 The size of these racks basically determines the capacity of tea leaves that the factory can process in one day. Tumbling. Photo by Eric Mah. The large woven bamboo basket cylinders are used in the final stage of Indoor Withering, known as Tumbling. The leaves are removed from the rack, one shelf at a time, and put into this cylindrical basket that rotates slowly. This Tumbling is an advanced and more rigorous stage of the previous Shuffling by hand, where the leaves are gently tumbled and tossed in this cylinder for about 30 minutes. The leaves are then put back on the racks to rest, and then put in the bamboo tumblers again. The number of tumbling sessions is determined by the desired degree of oxidation in the leaves. Typically it varies between 2-4 tumbling sessions with resting periods between each. After the final tumbling, the leaves are weighed into portions that the tumble dryers can accommodate, and put on the bamboo trays seen above in preparation for the next step of “kill green” — where the leaves are exposed to high heat. High Heat Tumble Dryers. Photo by Eric Mah. When the leaves have been wilted sufficiently, the level of oxidation can be recognized by a transformation of the fragrance exuding from the leaves. At the beginning of Indoor Withering, the fragrance has a freshly cut grass character. At the end, the fragrance is more of a ripened vegetable or even subtle fruity character. The leaves are very supple at the end of this stage, with the moisture reduced to about 60-70%. 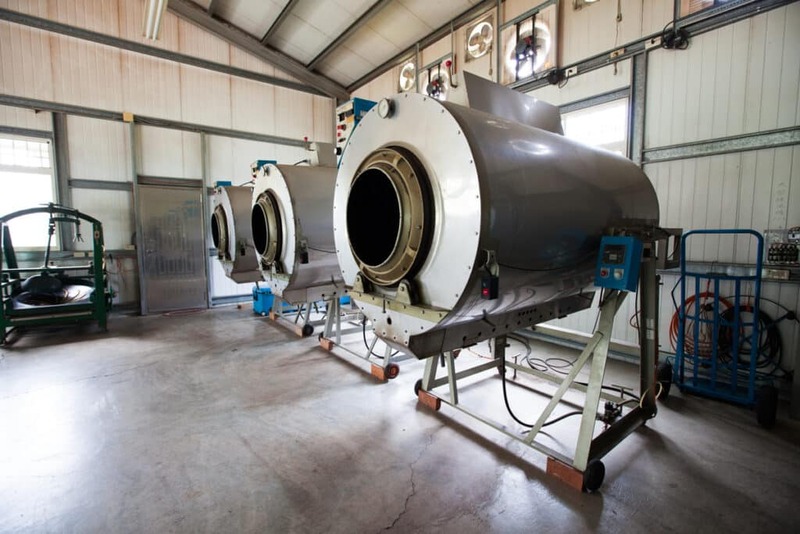 This is when the leaves are put into high temperature tumble dryers to kill the live enzymes in the leaves, thereby halting the oxidation process. The moisture content is further reduced to about 30-35%. The commonly used term for this step among craftsman that do this work is literally “stir-fry tea”, due to the “cooking effect” that occurs. These machines are basically the same mechanism as a clothes dryer. The temperature is typically set at 300° to 320°C and the leaves are put in for about 8 minutes, until they begin to have a noticeably dried texture to the touch. Dish Roller. Photo by Eric Mah. After the leaves are removed from the tumble dryers, they are typically put into a semi-airtight container for 10 minutes or so to partially redistribute the remaining moisture within the steaming leaves and become supple enough to be put into the dish roller in the above photo. The effect of this machine is to begin rolling the leaves while more evenly distributing the sap and moisture before they undergo the primary drying phase. It is said to aid in the desired oxidation effect, but it appears to be more an aspect of distributing constituents throughout the leaf uniformly after they have been exposed to high heat. Belt Dryer. Photo by Eric Mah. The leaves are then placed in the top of the conveyor belt dryer above. The metal screen conveyor belt inside the purple casing slowly spreads out the leaves evenly by “raking” the piled leaves with the rotating serrated metal piece at the top of the belt ramp. The evenly spread leaves proceed to traverse the tiered path within the dryer for several minutes. This is done without heat. The purpose is rather to gently cool down and stabilize the leaves. They eventually spill out from the belt at the bottom of the machine below the orange control box onto a bamboo tray on the floor. From here, the leaves are piled into a large pile on a tarp. When all of the leaves have passed through the belt dryer and gathered into a pile, they are loosely wrapped in cloth tarps or put into canvas bags overnight. This heaping and wrapping allows the remaining moisture to redistribute in the leaves while absorbing moisture from the night air. By morning the leaves are again supple enough to begin the Secondary Rolling and Drying process. A significant amount of tea makers have modified their production methods to bypass the two steps of Primary Rolling and Primary Drying, and the leaves are directly piled after High Temperature Tumble Drying. When this is done, the leaves are left in the tumble dryers longer to dry them more in addition to ceasing the oxidation process. Hydraulic Compactor. Photo by Eric Mah. The most obvious modern innovation of Oolong Tea processing that was invented in Taiwan involves tightly rolling the leaves into small nuggets. This is done to prevent crumbling, preserve freshness, and minimize packaging size. The machine in the photo above is the most recent addition to this mechanized rolling process. It is simply a hydraulic compacting machine that is basically a miniature version of the machines used to compact recyclable materials. 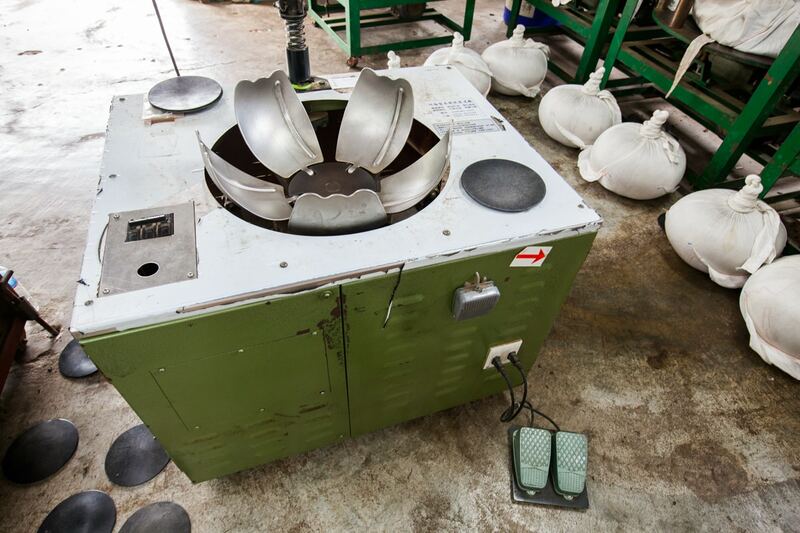 This machine was a result of Taiwanese tea processing methods being introduced in China and Southeast Asia. These regions lacked the skilled labor force that has developed along with the tea industry in Taiwan. The volume of production abroad was also far beyond the norm in Taiwan, so more mechanization was required. 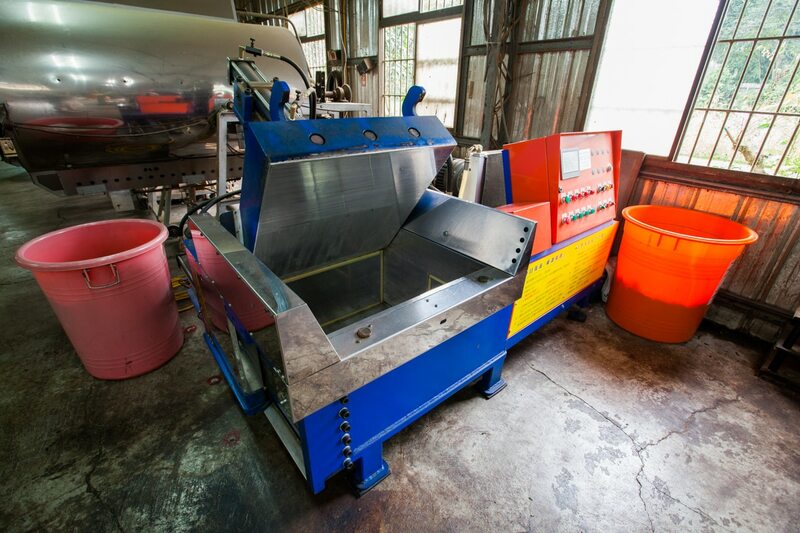 Use of this machine significantly reduces the amount of time and labor needed to roll tea using previous methods and the machinery shown below. 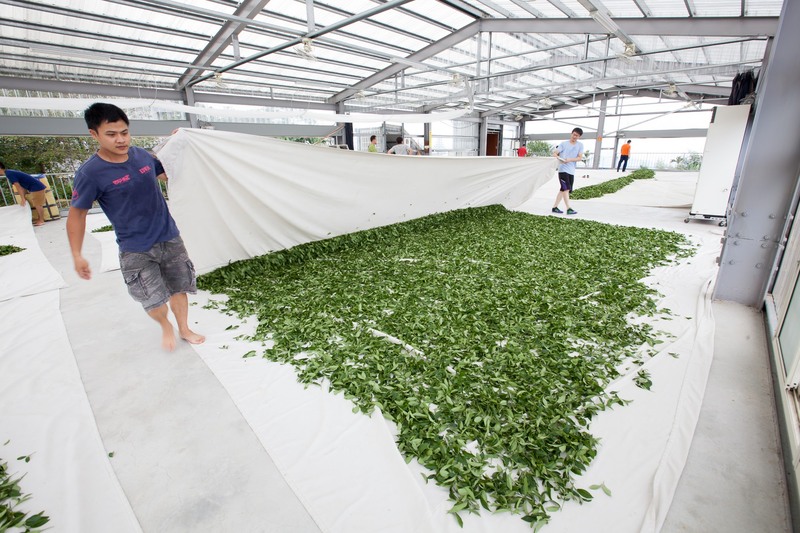 In short, it is now the first step in the rolling process that is used in virtually all high volume tea production in Taiwan today. 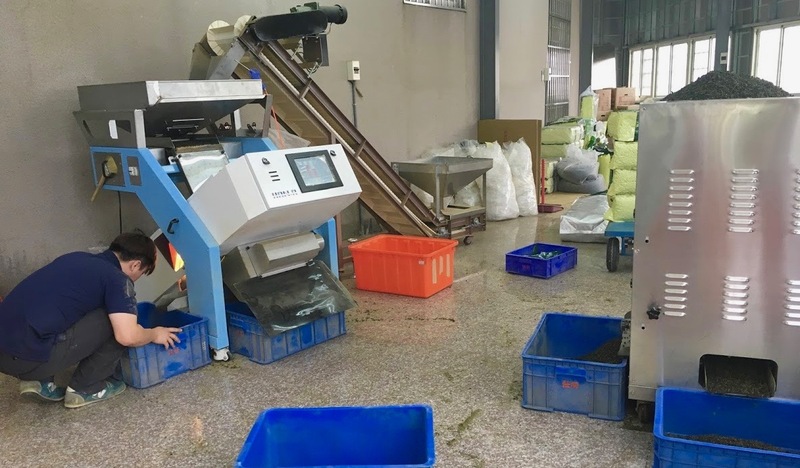 Only family owned small factories equipped with conventional rolling equipment do not see the need for this recent innovation, which traditional tea craftsmen believe compromises the quality of production to some extent. 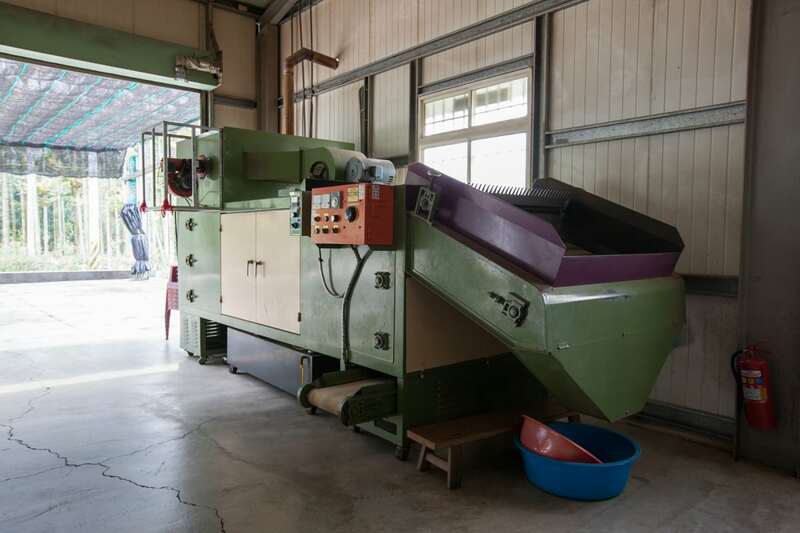 The compacting machine, locally nicknamed “tofu machine” due to its pressing function, squeezes the moisture throughout the leaves — reducing volume and preparing them for more expedient rolling. In this sense, it is similar to the primary rolling step above, which in many cases it has replaced. So the first step in Secondary Rolling and Drying is the use of this machine to compress the leaves. This is done intermittently with the use of the tumble dryers above, but with no heat, to separate the compacted leaves. Basically it is a repeated process of compacting and separating, until the leaves are determined ready to be rolled and dried. The potentially hazardous effect of this machine is that it can damage the integrity of the leaves due to the amount of pressure they undergo, as well as a tendency to cause the stem to pierce the body of the leaf. Having said this, the use of this machine has been refined and improved upon, and consensus has it that, if it is done right and not over-used for convenience, there is no significantly noticeable difference. Cloth Binder. Photo by Eric Mah. Following the initial compressing of the leaves, the actual rolling and drying process begins. 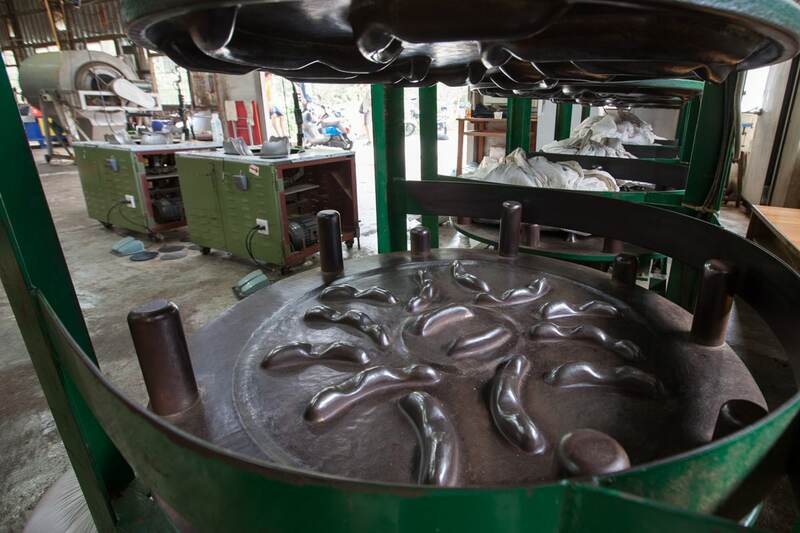 The image above shows the machine that is used to tightly wrap the tea leaves in cloth in preparation to be pressed an rolled. This step is strenuous, and requires a developed skill to be done properly. Use of the compacting machine above significantly reduces the number of times the leaves need to be rolled in cloth. This reduces labor and cost and increases volume of production. But the first step in actually rolling the leaves is wrapping the leaves in cloth into a solid “ball” as shown above. Tea Roller. Photo by Eric Mah. The “cloth balls” are then placed between ribbed metal plates in the machines above, which are spring pressurized and rotate. The rotation movement causes the cloth ball to roll in circles between the plates while being pressed. This is an ingenious method that is somewhat hard to imagine the effect! Tea Roller Closeup. Photo by Eric Mah. 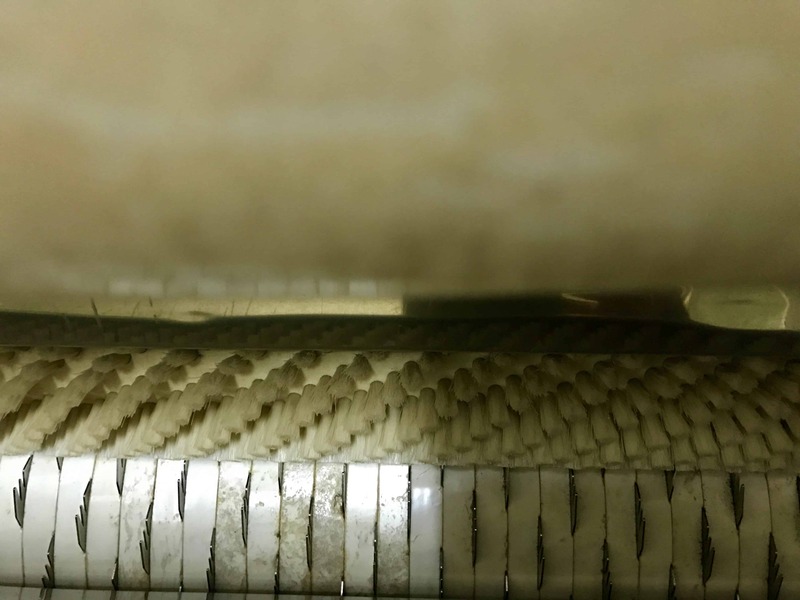 The leaves gradually get rolled more and more tightly through repeated rolling sessions that are interspersed with drying sessions using the Belt Dryer shown again above. 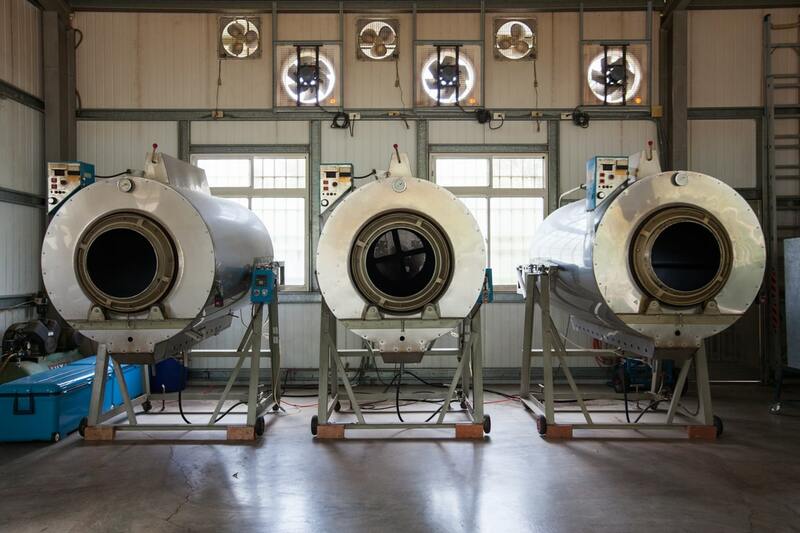 At this stage of production, the Belt Dryer is used with its forced air low temperature heating system to dry the leaves slowly in between the rolling procedure. So the leaves are repeatedly wrapped in cloth, rolled, removed from the cloth and put through the belt dryer, and wrapped and rolled again for many hours. This is perhaps the most labor-intensive stage of modern tea production, and is often subcontracted. 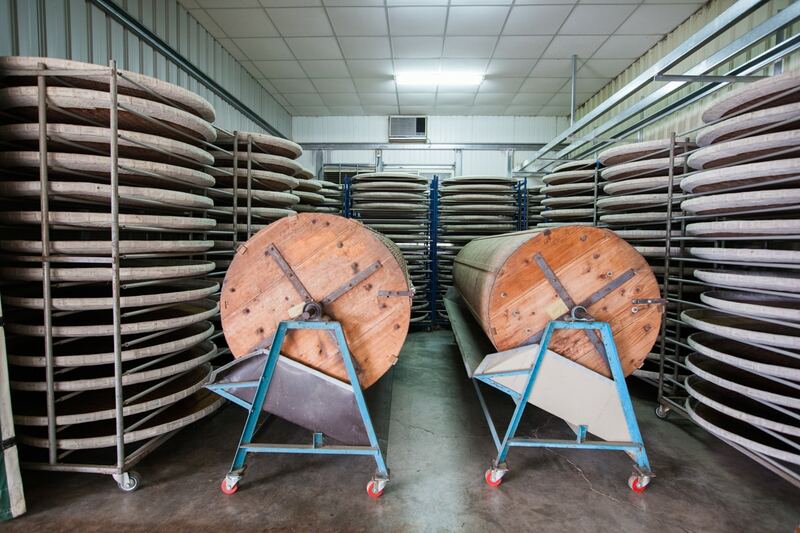 The photos above showing the Secondary Rolling and Drying process are from an independent factory that provides this service. These machines are also a more recent invention in the development of modern tea processing in Taiwan. As we can see in the photo above, this arrangement involves two separate pieces of equipment. The machine on the left feeds tea leaves on a conveyer belt into a funnel at the top which are scanned by infrared rays that distinguish bulky rolled leaves from smaller particles. These are then mechanically sifted and separated into separate chambers that dispense the leaves from different exit shoots. The smaller unwanted crumbs are discarded, and the larger rolled leaves are put into the stem removing machine on the right. 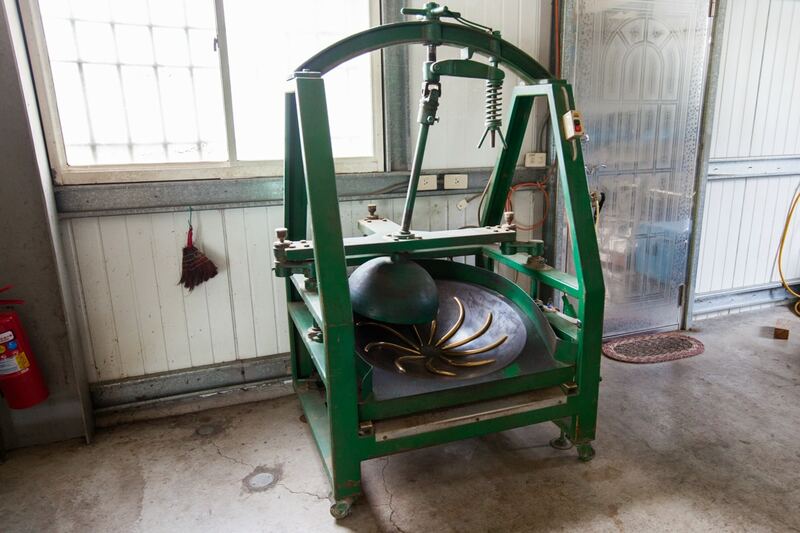 This machine is equipped with fine brushes and small blades that sweep the rolled leaves through the blades while snipping off the protruding stems. While this step of tea production is ideally still done by hand, the lack of a labor force along with cost has all but replaced it with machines. This step is mostly employed for batches of tea to be entered into competitions, as external appearance is a significant factor in rating the quality of tea in Taiwan’s tea competitions. It is also important in the making of tea types that require Roasting. Stems will maintain moisture where the rolled leaf has already been completely dried. This results in an uneven roasting effect, which compromises the desired effect. So roasted tea types such as Dong Ding Oolong and Tieguanyin require the step of Stem Removal to achieve optimal results in quality. Removing stems by hand is the best way to preserve the integrity of the rolled leaves while only removing the undesired stem. Stem Removal by machine results in a certain amount of crumbling, which compromises quality to a minimal extent. The final step in the processing of Oolong Tea is Roasting. 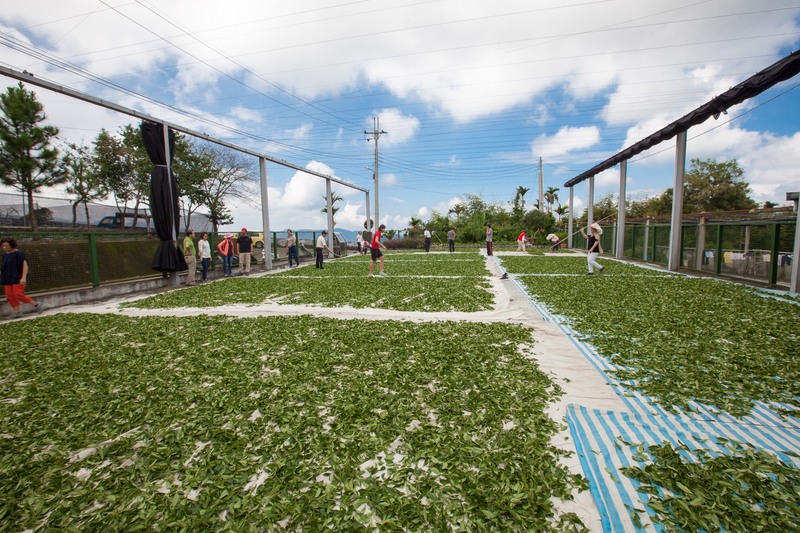 It is now common practice even for High Mountain Tea production in Taiwan to minimally roast the finished produce of tea leaves to remove any residual moisture content in the leaf and secure its freshness and shelf life. Minimal roasting, with the goal of simply removing moisture and stabilizing the composition of the tea leaves, only requires a single roasting at low temperature (85°- 105°C). For more traditional type teas, where the roasted aspect gives the tea its characteristic flavor, the leaves will be roasted up to 4 times, for a total of up to 30 or more hours to achieve the desired results. In making these roasted tea types, the temperature typically starts low and increases incrementally, ranging between 85° and 140°C. Roasting is an art in itself, and can be a fickle and unpredictable process. This is part of the traditional skill and science that goes into making some of the world’s most distinctive teas. As we can see by the extent of this overview of tea processing, it is a complex, costly process that has been developed from experiential knowledge and ingenuity. The pioneering tea production methods that have been developed in Taiwan have been disseminated to other major tea producing regions in Asia, and Taiwan continues to lead the way in producing some of the finest tea on the planet in the 21st century. The standards of quality that have been set by local competitions here in Taiwan have successfully created a consumer demand for high quality tea. And now this modern standard of quality tea is beginning to be understood by tea lovers around the world. Eco-Cha has produced a video to accompany this post, view it here.